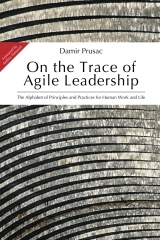 Agile development is the contemporary practice,it is growing and still “emerging”. Agile as a term and Scrum as a leading framework have a continuous growth since 2004. Looking at the 2015. the values, i.e. the relative search towards other terms doubled or even tripled for scrum. The prediction of the trend continues upwards. I encourage you to take a look at the trend service yourself (and compare some other terms like ‘waterfall sw development’), but to save some time for you, the interesting data lays in fact that developing countries like India and the countries of Latin America lead in the search game. Traditionally, US and Europe being up front in technology trends, are not at the top. It doesn’t mean that the searches in those areas are decreasing, but that the rest of the world takes ICT as the competitive advantage and understands more and more the high importance of the latest trends in software development. It happens to be agile.